You’ve got to start off with the revelation from Dave Meltzer that Triple H, the godfather of NXT, was unaware that four of his best wrestlers were being called up to the main roster. That’s a huge flashing “warning” sign right there. Many fans have griped about how NXT wrestlers’ successes and storylines, and even their characters, don’t transfer over to the main roster, creating problems. But when the man primarily responsible for the development of said superstars isn’t even aware that they’re heading to Raw, then that’s a huge problem. 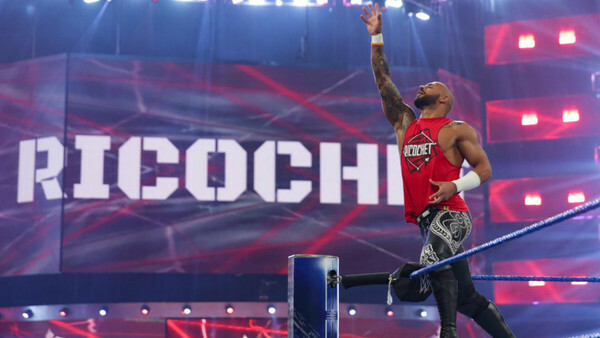 It was so bad that it was reported that Vince McMahon’s original plan was for Ricochet to face new Intercontinental Champion Finn Balor… because, reasons. Thankfully, giving away a match like that with no buildup and no advertisement was avoided for now. Scott is a former journalist and longtime wrestling fan who was smart enough to abandon WCW during the Monday Night Wars the same time as the Radicalz. He fortunately became a fan in time for WrestleMania III and came back as a fan after a long high school hiatus before WM XIV. Monday nights in the Carlson household are reserved for viewing Raw -- for better or worse.